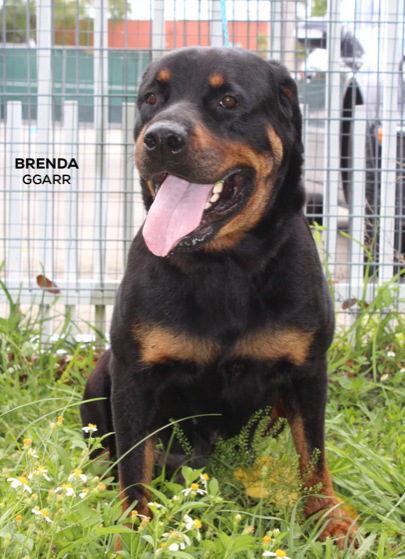 Brenda was found loose with another female Rottweiler identical to her in the Homestead, Miami area. They are probably sisters from the same Litter. Both were picked up by Miami Dade Animal Shelter. Our GGARR Volunteer Isabel Jaraba contacted GGARR and Grace asked Yoly to go to evaluate her. 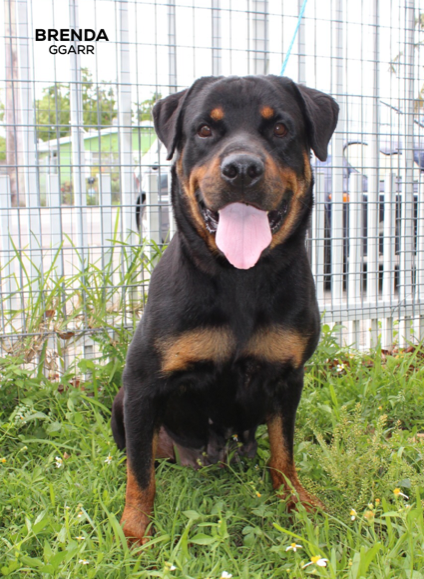 She found a loving and extremely gentle Rottweiler. 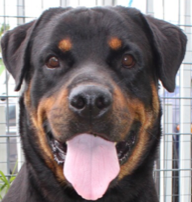 Yoly contacted Grace from the Shelter and she told her, YES, we will take her. So friendly Brenda thought she knew Yoly forever. Our Miami Rescue Coordinator Luciana Pinto picked her up to pulled her to safety. Brenda is ready for her new Forever Home. Come to meet her. You are going to love her.